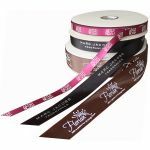 We are able to offer bespoke printing on a choice of 59 colours in satin and grosgrain ribbons in a variety of print finishes and from widths of 10mm and up with a minimum order requirement of 10 reels for 10mm ribbon and just 5 reels for all other widths. 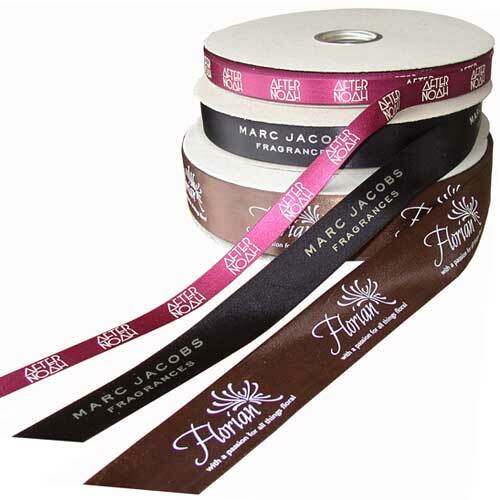 Lead times for bespoke ribbon printing are approx. 3-4 weeks. 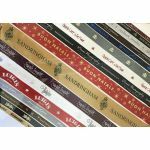 Please be aware that all other than 1-colour prints are seen to be non-standard and may carry higher MOQ as well as a longer lead time. Please visit our Bespoke section for more information and contact us directly for pricing. Please supply artwork, width and colour requirements with quote requests.